the Android app running on my Android TV box, connectected to my tv in the living room. This was a new one for us. I knew, if I didn’t fix this right now, the evening would be ruined! So on to fixing this. First idea: reboot everything. But that did not help, the movie still didn’t play. I started to think about what the problem could be. My first thought was that the movie was somehow corrupt or has some audio or video codecs that aren’t supported. But I quickly dismissed this idea because I knew that this movie played fine the first time I did a test run with it. So I tried to run something else and noticed, that th shows apparantly seemed to work! Some minutes had already passed and before letting this evening go to waste and possibly anger my girlfriend, I decided to instead watch the still working tv show with her. Fast forward next day, the movie was still not playing. The tv show was working. Trying other movies I noticed that no movies at all were playing! So I began searching for clues on the internet. 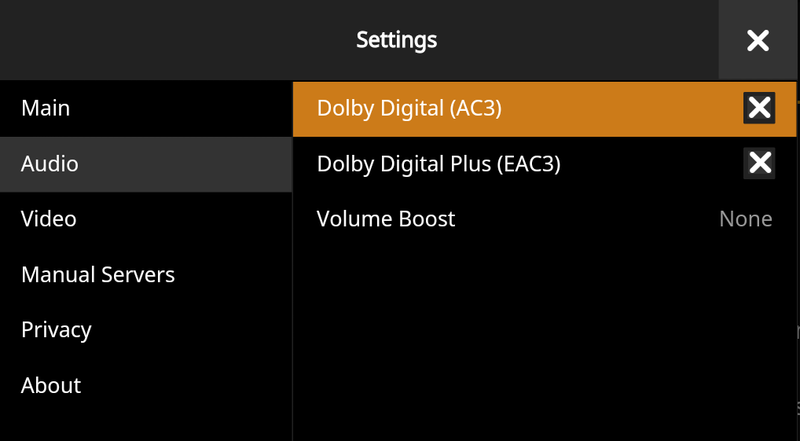 One of the first things people said was to make sure that I had up-to-date versions of the Plex media server and the Android app. They were and I couldn’t remember that I updated the software recently. It’s because you don’t have enough temp space to transcode the entire file. It’s a check that was just added a couple of updates ago. In the settings, you can point the temp transcode folder to a drive with more space (I pointed mine to a new share on my NAS) and everything should be fine again. This sounded exactly like my problem I was having! But checking at the server showed that there was plenty of temp-space available! 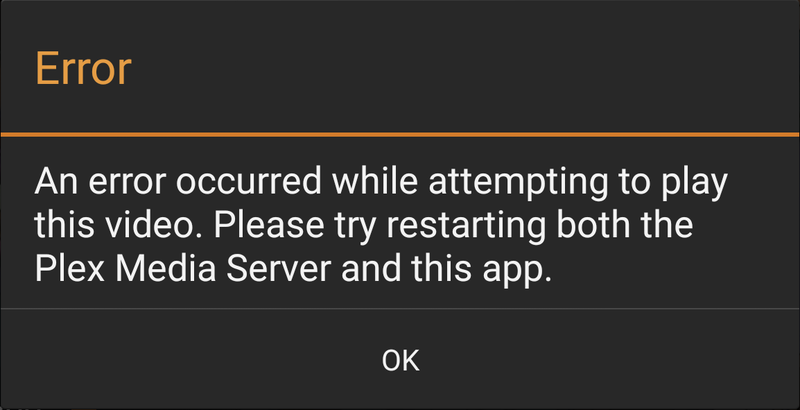 At this point I was already searching for the error for more than an hour and thought about giving up and reinstalling the server side of Plex. But this would have meant reindexing my whole media collection which would probably last some hours. I decided to postpone this and went back to the living room, see if reinstalling the Android app (again) would work or if any magic happened in the meantime that would make the movies work again. Then I suddenly remembered that I once removed these both checkmarks and now they where there again! I unchecked both and all my movies were playable again. I went to the App Store and checked when the last update of the Plex app happened. Indeed it was some days ago. Seems like this update reset the app settings.